Ice cream lovers, rejoice! It’s the best day of the year — National Ice Cream Day — celebrate this epic day with your fave flavor to cool down on these sizzling summer days. Enjoy today in the best way with FREE ice cream. 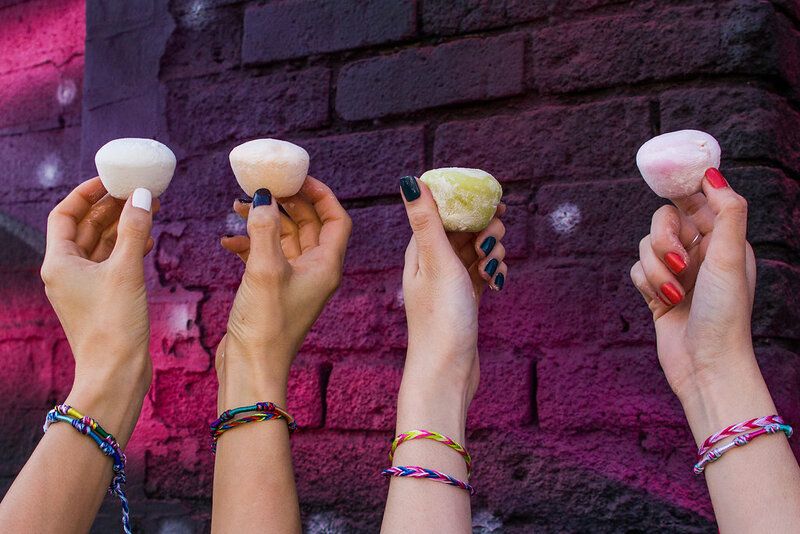 We’ve teamed up with cosmetic brand, Winky Lux, to offer FREE My/Mo Mochi Ice Cream all day long at the Winky Lux storefront (69 Ludlow St) in New York City. Take a trip to Delicioustown with a variety of flavors, including Ripe Strawberry, Sweet Mango, Green Tea and Salted Caramel! The summer snacking game is all about refreshing, cool and portable foods. My/Mo Mochi Ice Cream has it all – at just 110 calories per mochi ball, gluten free and made with simple ingredients, My/Mo is the perfect way to snack on all of your favorite flavors. Sweet! Not in NYC? Have no fear – get the gift of My/Mo with every online Winky Lux purchase from July 16th through July 22nd. Read more on how to celebrate National Ice Cream Day on People, Refinery29 and CNBC.